Cinnamon. It’s delicious and nutritious for us. But did you know it’s beneficial for plants too? 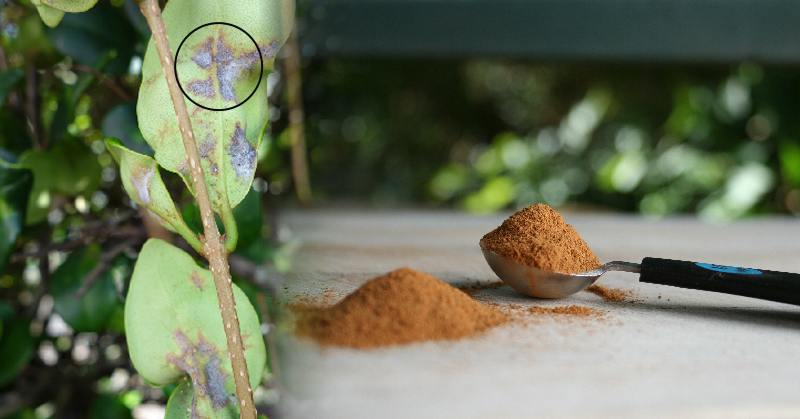 Indoor and outdoor plants benefit from the generous use of cinnamon to keep them healthy. Take a look at these 6 reasons why you should use it in your home. Imagine little sea turtles tucked away in their little sandy womb, breaking their little shells, climbing to the harsh surface, and running to the ocean for shelter. We’ve all seen the documentaries. The little turtles run, the predators enjoy a baby turtle sandwich. It’s the circle of life. But what if I told you that the same thing can happen to your little seedlings? There may be no birds or sharks attacking the seeds, but there are diseases. The gardening term “dampening off” covers an array of diseases that attack you little seeds and lead to their demise. Dampening off can be caused by several different fungi and soil conditions. Cinnamon, is a proven fungus fighter. Dusting your fresh soil with cinnamon can prevent the seeds from dampening off. It’s like you’re helping the little baby turtles (seeds) flourish in their new environment. Accidentally cutting or wounding your plants may make you feel guilty and apologetic to your plant. Instead of crying over spilled plant milk, dust some cinnamon on the wound to encourage healing and prevent infection (yes plants can get infections).